Last weekend I went on a CPD course for Body Psychotherapy and we looked at aversion, attraction and conscious goals. The movement and feeling that helped me to understand how to bring forward more of myself when setting goals was the feeling of being pregnant. My belly was loose, my hips were open and there was a sense that I was taking my weight more into my heels than into the balls of my feet. My shoulders were relaxed and I was swaying from side to side while at the same time rubbing my belly. It had a soothing effect on me, which is quite the opposite of how I normally approach my goals: wanting to attack it, get on with it and be generally quite cut off from myself while at the same time being totally focused on what needs to be done. The swaying movement with loose hips and belly was a reminder about the natural process and incubation time of ideas, goals and life in general. The person I was working with remarked: “The pregnant woman does not need to go and find the baby. The baby is within her.” This felt incredibly profound and eye-opening to me. I did not have to search for the wisdom, the ideas and goals, but they were actually already within me. I just need to allow life to flow through me. Yoga teachers are often confronted with the dilemma of whether physically to assist students or not. There are many pitfalls and touch can be a very tricky subject being a “cauldron of discussions, disagreements, fears and anger, unending ethical questions, and heated arguments” (Ben-Shahar, 2014). In some styles of yoga, teachers do not touch their students at all; and across those styles of yoga, where physical adjustments are an integral part, the intentions varies greatly and there is little conscious understanding of the implications of touch. The importance of touch has become increasingly more researched and known. Tiffany Field and her colleagues at the Touch Research Institute have researched many different aspects of touch in child development and also how touch can help alleviate symptoms of medical conditions. In summary, touch is important not only for growth and development, but also for communicating and learning about the world (Tiffany, F., 2003). Our skin is our largest sense organ and unlike our eyes and ears we can’t shut or cover it. It’s constantly on. According to Field (2003) “touch continues to be the primary mean of experiencing the world throughout infancy and well into childhood, even into aging”. Issues around touch are a complex matter, but I feel if a decision is made not to assist students physically, teachers miss out on a lot of opportunities to enable the students’ process. Sinason (2006) describes touch as a lifesaver and life giver, but points out that at the same time it has the potential to be traumatising. So what gets communicated via touch and how can we use touch effectively to help our students in their practice? Touch is a way of “listening” and “speaking” to the student without words. It is a language in itself. Sometimes students just can’t hear words and don’t respond to them. Touch can be a very useful tool in communicating the teachings and reach students in places where words would not. On a very fundamental level, touch in a yoga room is used as a skillful intervention to deepen the posture of the student or to create more space in that person – whether this is on a physical, emotional, mental or energetic level. On an energetic and physiological level, touch has an important impact on the nervous system and plays a part in the body’s restoration (Westland, 2015). Westland (2015) summarises concisely the effects of touch by saying that touch “restores the body’s psychophysiological repair systems” (p.224), thus aiding in the healing process of both the body and the emotions. The effects of touch go beyond the functional and psychophysiological though by creating a deeper connection within the student and also between student and teacher – adding a spiritual dimension. In this way students are helped to get in contact with themselves increasing the sensation of self. Students get a deeper experience of where they end and where the other starts, and can thereby develop stronger skin boundaries and create an anchor. Further, students experience the connection with another human being in a non-sexual way.Finally, even though teacher and student relate on an adult-to-adult level, touching speaks to the younger parts of the student also. In this case, a holding and comforting touch will reach into those parts of the student that were possibly deprived of a mothering touch in early childhood. Thus teachers need to be aware of their importance to students beyond the obvious teacher-student relationship whilst maintaining healthy boundaries. The importance of touch for symbolic mothering cannot be underestimated (Westland, 2015). To conclude, I feel that the discussion is not about whether to touch or not to touch in absolute terms, but to apply the yogic principle of being present and responding to what is in front of us; thus making a decision based on our intuition and experience whether one particular student would benefit from our touch or not. One of the underlying theories in body psychotherapy is the concept of character strategies. The central notion is that developmental processes and difficulties are expressed in our body, particularly through our muscles. 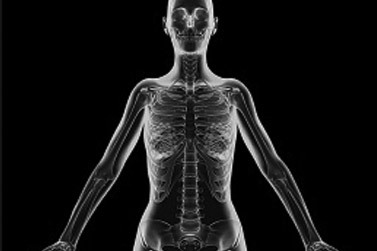 Our body structure tells the story of our lives and the challenges we have faced, as well as the answers we have found to them. The character strategy I am writing about in this blog is the masochistic structure. The structure mainly develops between the ages of two and three, whereby the child’s will is broken and her needs for assertion and independence are squashed. Thereby her will becomes associated with pain and a critical internal dialogue is developed. An adult with this character strategy sacrifices herself, moves into shame easily and carries a lot of resentment. The body is a like a pressure cooker, as the person has to hold it all in. This kind of person easily gives in, but becomes bitter about it. She helps others and is a very loyal person, but at the same time she judges others and particularly herself. She is supportive, but also abandons herself. She can be extremely stubborn. This person will experience complex and difficult relationships with authoritative figures, whereby authority is obeyed, but also hated at the same time. The message this person has internalised is that she can’t be herself and that she has to control the way she is seen and perceived. There is a huge fear around letting go and also about creating mess. She is so afraid of disapproval and loss that she can’t express her own needs and wants for fear of disappointing or upsetting another person, especially authority. The body is characterised by a large and strong upper back, broad shoulders and tight buttock muscles. Overall, there is an enormous amount of tension in the body, which if released can provide the masochistic structure a huge amount of energy and aliveness. The masochistic structure can sustain high amounts of pressure, is attuned to the needs of others, dependable, trustworthy and can be leaned against. She is strong-willed and at times can be extremely stubborn. Creating a community where we can celebrate our strengths and not hide our limitations.